Plot 18 is a lovely three bedroom semi-detached family home, with the benefit of three allocated parking spaces. This property has been designed with modern living in mind. A modern kitchen/dining area bring the family together at meal times, whilst a welcoming living room makes relaxing easy. A downstairs WC can also be found on this floor. Upstairs, you’ll find three good size bedrooms with an en suite to the master bedroom. A family bathroom and additional storage space completes this gorgeous family home. 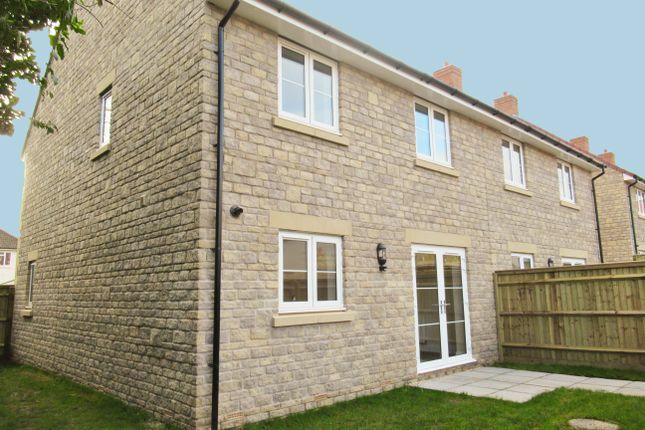 A great opportunity to purchase a brand new three bedroom Shared Ownership home with three allocated parking spaces located on the Pickford development in Chilcompton. You buy an initial share in your new homes and you pay a discounted rent on the remaining share. Property descriptions and related information displayed on this page, with the exclusion of Running Costs data, are marketing materials provided by Livewest - Pickford Fields, and do not constitute property particulars. Please contact Livewest - Pickford Fields for full details and further information. The Running Costs data displayed on this page are provided by SmartNewHomes to give an indication of potential running costs based on various data sources. SmartNewHomes does not warrant or accept any responsibility for the accuracy or completeness of the property descriptions, related information or Running Costs data provided here.